New tour buses and buses that provide service between cities must be equipped with seatbelts starting in late 2016 under a new federal rule, a safety measure sought by accident investigators for nearly a half century. Beginning in November 2016, all new motorcoaches and some other large buses must be equipped by manufacturers with three-point lap-shoulder belts, the National Highway Traffic Safety Administration (NHTSA) said. The rule will not apply to school buses or city transit buses. Every year, an average of 21 people are killed in large crashes, and almost 8,000 others are injured annually, according to the NHTSA. It’s estimated that seatbelts could reduce fatalities and moderate-to-severe injuries by 50%. Almost half of all motorcoach fatalities are the result of rollovers, and about 70% of those killed in rollover accidents were ejected from the bus. The 29,000 motorcoaches in the US transport about 700 million passengers a year, roughly equal to the domestic airline industry, according to the United Motorcoach Association. 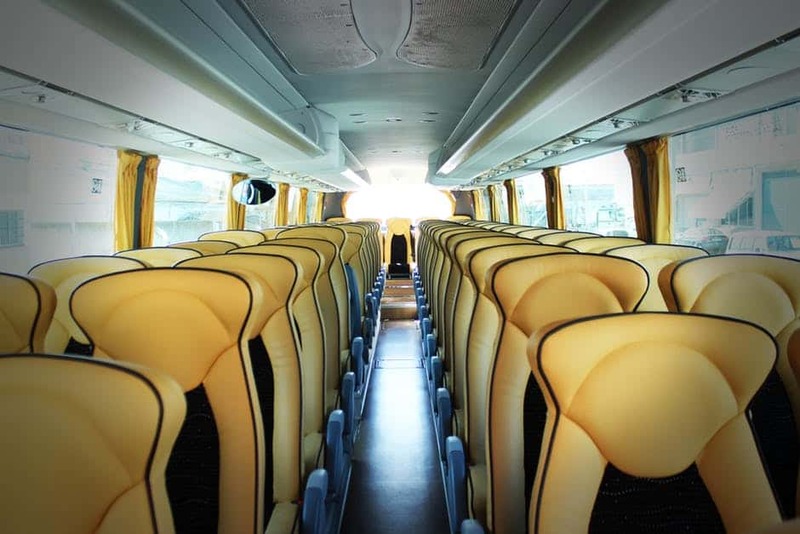 Since buses are typically on the road for about 20 to 25 years, it will probably be many years before the majority of motorcoaches have seat belts.